Respite programs provide planned short-term and time-limited breaks for families and other unpaid care givers of children with a developmental delay and adults with an intellectual disability in order to support and maintain the primary care giving relationship. 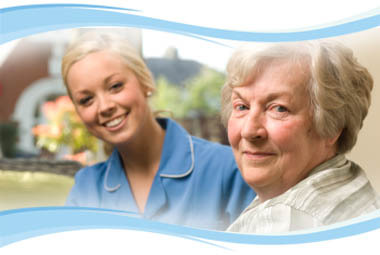 Respite also provides a positive experience for the person receiving care. The term “short break” is used in some countries to describe respite care. Respite care is different than sub acute care in that it is designed not only with the patient in mind, but also with the family member in mind. The fact is family members in many instances get worn down by the constant need to provide care for their loved one. Under the strain and duress of the constant cycle of care, they require ‘respite’ from time to time to allow themselves to recharge so that they can continue to provide care at an optimum level. At the Regency Nursing & Rehabilitation centers in New Jersey, we provide a stellar respite care program to benefit both the patient and their family. The patient is looked after with care and compassion, allowing the family to rest assured while they recover from the physical and emotional strain of providing full time care for their loved one. This entry was posted in Sub Acute Care and tagged nj respite care, nj respite care facilities, respite care, respite care centers in jersey, respite care in dover nj, respite care in hazlet, respite care in somerset nj, respite care in wayne nj, what is respite care. Bookmark the permalink.